Also referred to as Alt Text, adding alternate text to your images is an accessibility best practice. 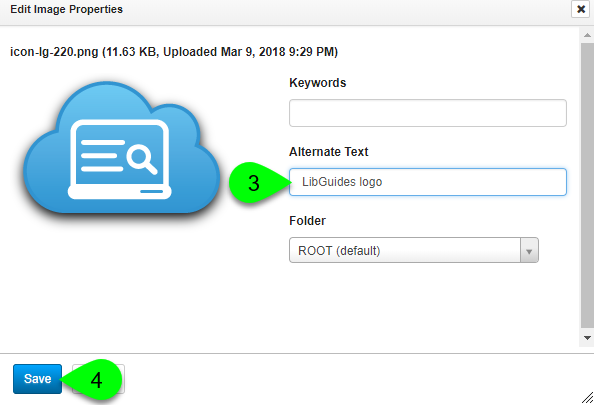 By adding descriptive alternate text to each image, you are providing users of assistive technologies (such as screen readers) a description of the content of the image. With the Image Manager, you can actually add default alternate text to your images. 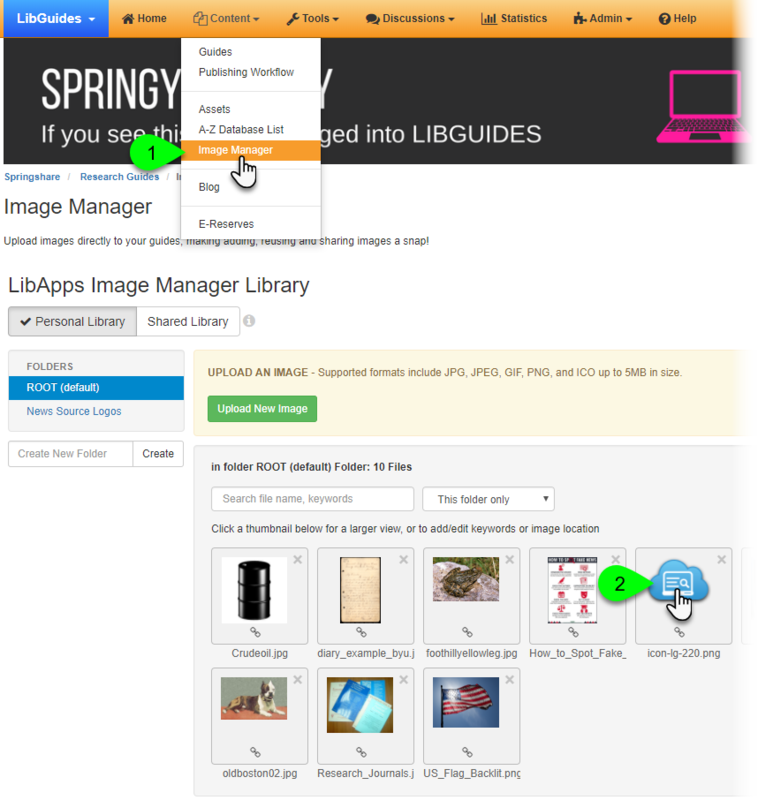 Each time you reuse an image in LibApps, its default alternate text will be used (though you can customize it if needed). Not only does this save you time in the long run, but it greatly increases the odds that the alt text won't be overlooked -- especially for images in your shared library. In the Edit Image Properties window, enter your descriptive text into the Alternative Text field. This will appear in the image's alt attribute (e.g. <img alt="Your alternate text displays here">).